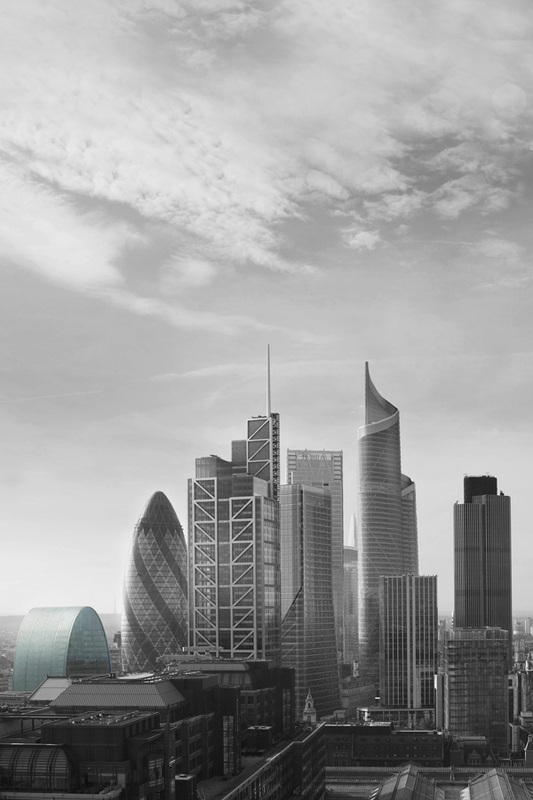 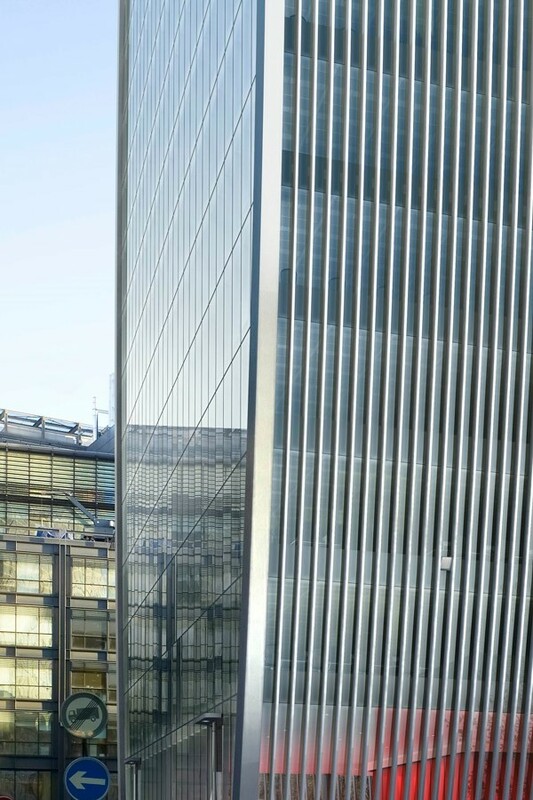 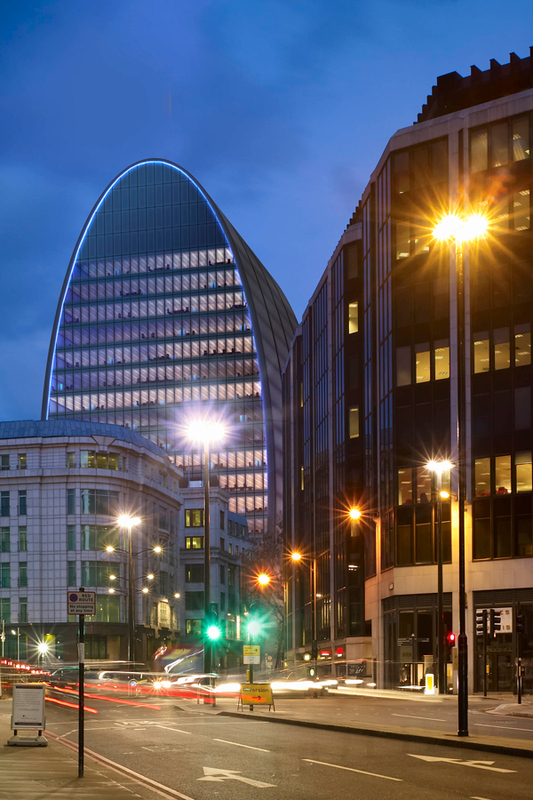 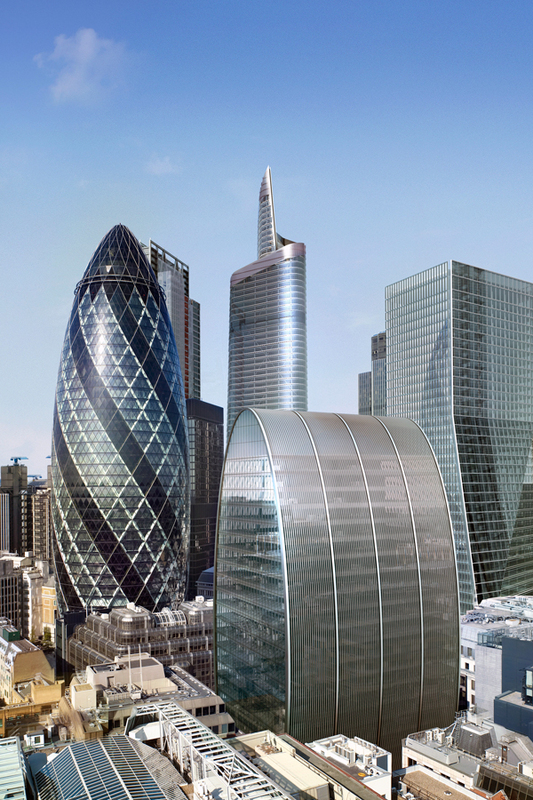 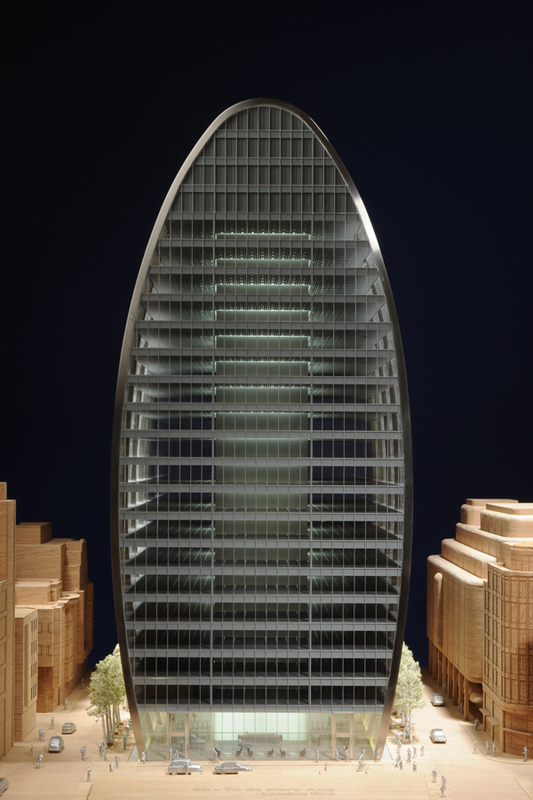 A distinctive new 41,515 sq.m, 24 storey office development, often referred to as the “Can of Ham”, proposed to join the cluster of towers in the centre of the City of London. 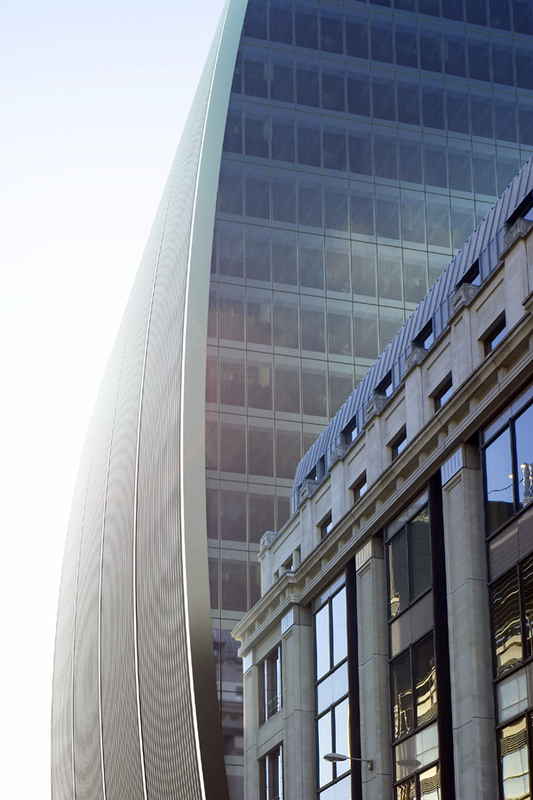 The scheme provides efficient, flexible modern office space organised around a central core, and incorporates retail accommodation and public realm enhancements at ground level. 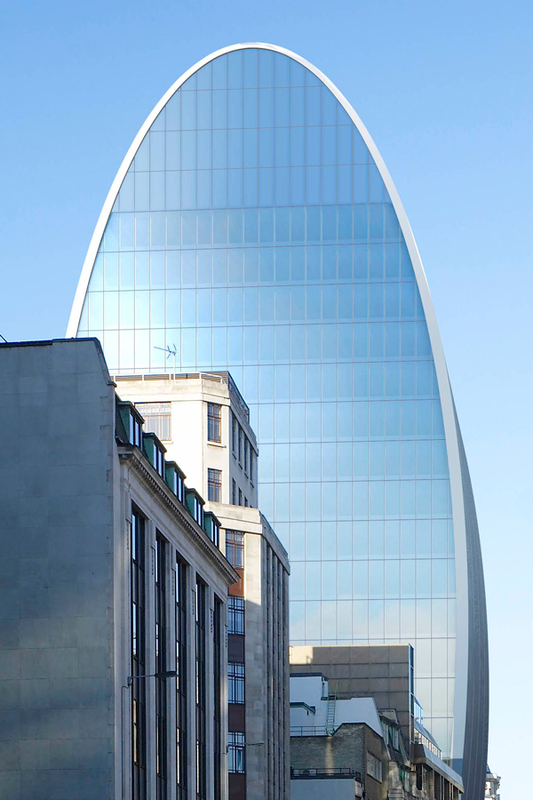 The height and form of the building have been developed to create a distinctive form in response to strategic local views. 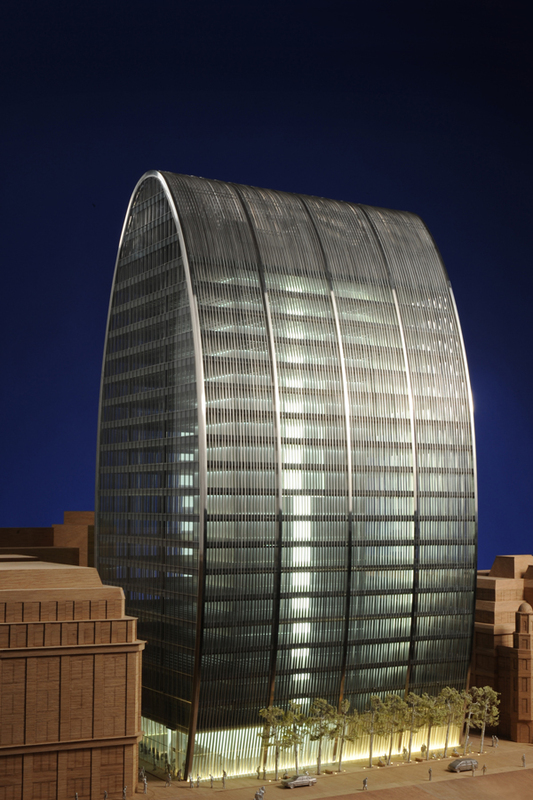 Vertical shading fins to the curved facades and glazed double wall cladding to the end elevations reduce solar heat gains to the office space. 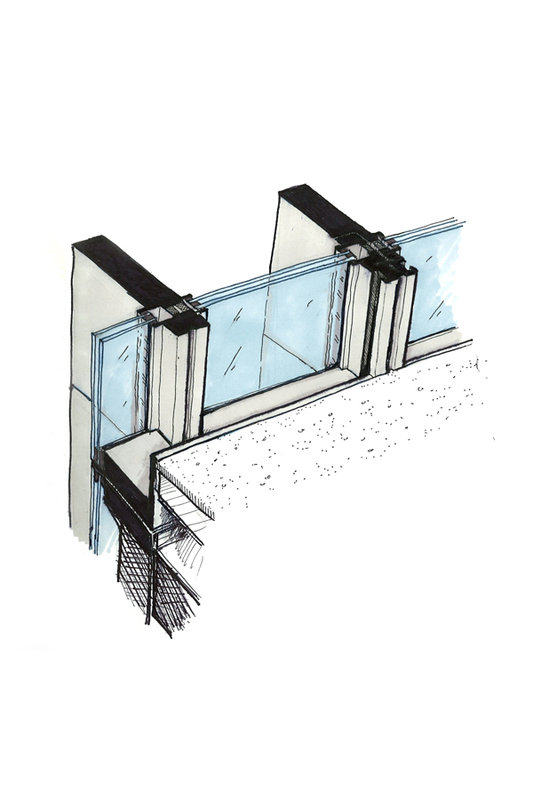 Other low energy measures, such as borehole thermal energy storage and energy piles, result in a design with very low carbon emissions.